Joe Pullen Education Center - Completed! 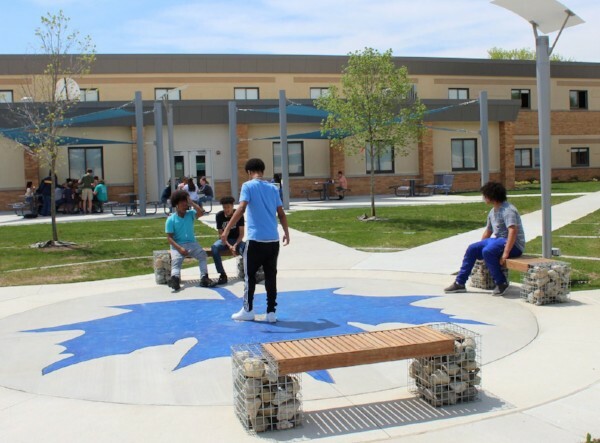 The 32,000 square-foot Adrian High School Courtyard has been redesigned into an Outdoor Education Center and is named for long-time AHS biology teacher and AHS Alum Joe Pullen ’55. Joe died unexpectedly in 2014 and had remained a volunteer for many Maple sports programs until that time. Joe’s love for outdoor education was evidenced by his biology students as they took field trips to study plants, waterways and nature in general. J.P. was also a swimming and cross country coach, and introduced many students to canoeing, camping and hiking. The student designed education center will feature an outdoor lecture space, café/picnic area, a working green house, a performance stage and seating areas. Students have worked on the design of the space with the help of landscape designer Joe Wilson ’89. Hidden Lake Gardens will help students label plants in the outdoor center. The Adrian Schools Educational Foundation raised $235,000 to help the district with this project. District taxpayers approved a bond issue that had money for the infrastructure updates needed to make the courtyard functional. Many alumni have participated in this fund drive with two matching grants that tripled every donation that comes in up to $25,000. Maple Stadium Team Room - Completed! The Maple gridiron had a wonderful makeover as a result of a successful bond issue in spring 2016, securing funds for updated restrooms and concession, bleachers, lighting and a new entrance and parking lot. 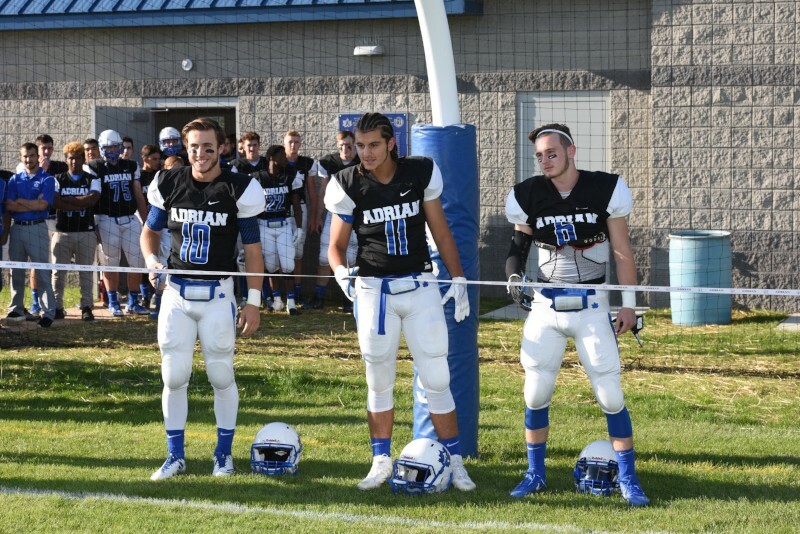 Along with the improvements covered with funds from the bond, Dane Nelson '67, led a successful private fundraising campaign to build a new team building which was championed by the Adrian Schools Educational Foundation. This building and the new concession stand, ticket booth and restrooms, greatly modernizes the facility which is a gathering place for the community. The Foundation is now creating an endowment to help with long term athletic needs. Consider helping with this project by donating today. A new space for reflection has been installed at the high school, a place for students and the public to walk, sit, study, reflect and create. Trees are available for purchase $500 (Maple) $250 (spruce) and $800 for an eight-foot finished steel bench. The trees and benches can be named in memory or honor of an alum or teacher. A $200 donation goes to the general upkeep fund for the garden. The garden was begun as a way to plant memory trees in a place safe from future expansion of the school property. The Class of 2014 and Drs. Robert ’55 and Dorothy Barnes gave seed money to get the project off the ground, and Underwood Nursery gave nursery stock and labor to begin the garden. All work including pouring the concrete walkways, was done with the help of volunteers. If you would like to purchase a tree or bench for the garden, please donate now!